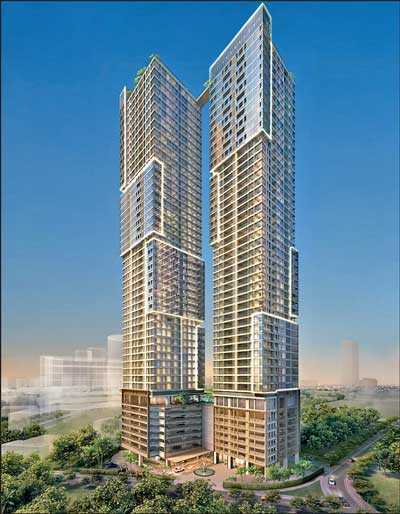 Capitol TwinPeaks, the flagship venture of the Sanken Group, located on the Beira lakefront in Colombo 2, forges forward ahead of schedule (35 floors completed) to ensure timely delivery of their investment for maximum profitability, amidst general unrest and doubt, in today’s volatile market. The twin 50-storey high interlocking skyscrapers are an architectural interpretation of modern form and function. 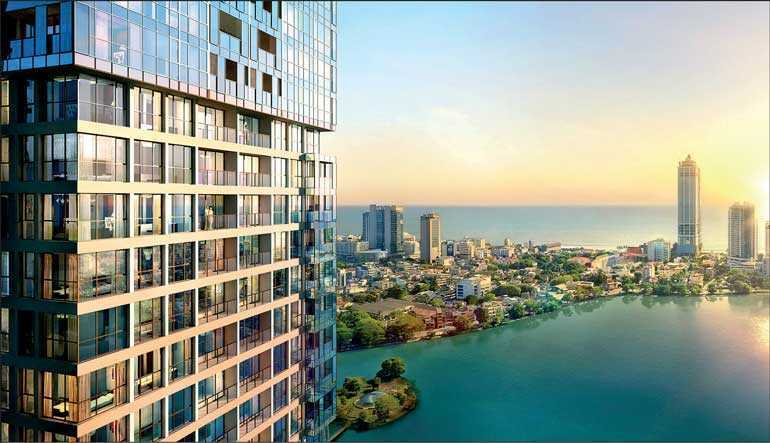 Featuring an impressive ratio between green spaces, common areas and residential spaces, overlooking spectacular views of the cityscape, Beira Lake, Indian Ocean and Lotus Tower. With over 50% of the 438 units of 2, 3, 4 and 5 bedroom apartments already sold, Capitol TwinPeaks offers customisable apartments equipped with features to suit the cosmopolitan city lifestyle. Each apartment type offers a unique outlook on apartment living and investment value with a vast sq. ft. range of 774 sq. ft. – 5,500 sq. ft. approximately to suit the veteran investors need. Commenting on construction ahead of schedule, Sanken Group Chairman Mahen Weerasekera said, “Real Estate investment involves a relatively favourable risk/reward profile, with relatively low liquidity (ease of entry and exit). Whereas, location, timely delivery and quality of product are at the apex of importance for ensuring return on investment, primarily in a developing real estate market such as Sri Lanka. Capitol TwinPeaks understands the importance of ensuring the perfect marriage of these three-factors. The Sanken Group continues to do its utmost to deliver on time, and in full, as Capitol TwinPeaks continues to become an investment goldmine. Timely delivery is imperative in order to ensure maximum profitability for our residents/ investors.” Capitol TwinPeaks is widely expected to pull in high rental yields and capital gains, upon completion in 2020. Under the design and architectural purview of the renowned P&T company of Singapore, Capitol TwinPeaks offers international standard apartments for sale, that feature the best in quality in construction, architecture and its interiors. Capitol TwinPeaks has continuously appealed to those seeking apartment city living/vertical lifestyles as well as those seeking real estate opportunities that offers a high return on investment.